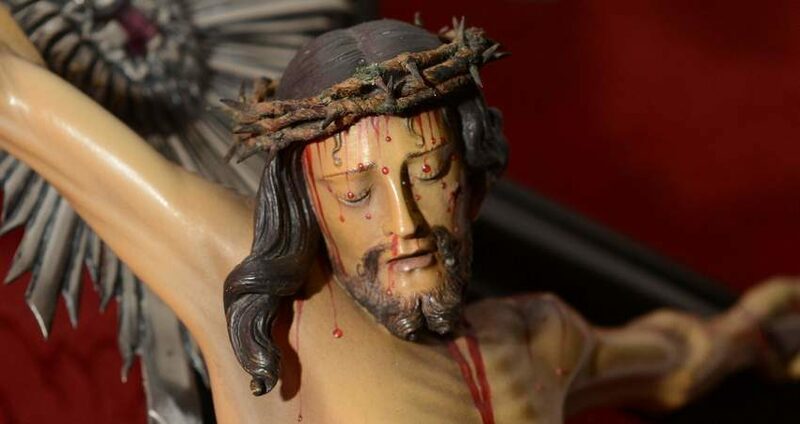 Your attention is vital because the theology program at the Jesuit-run College of the Holy Cross in Worcester, Massachusetts, is showcasing out-and-out blasphemy to its students. Blasphemy #1: Prof. Liew attacks the sacred manhood of Our Lord Jesus Christ, claiming that He was a "drag king." Blasphemy #2: Prof. Liew twists the Gospel of Saint John, claiming that Our Lord was an impure "cross-dresser" who had "queer desires." Blasphemy #3: Prof. Liew eroticizes the Passion and Crucifixion of Our Lord. As the chair of the College's primary New Testament class, Prof. Liew uses unrepeatable language to attack the holy purity of Jesus and His Apostles. Call for Prof. Liew's removal. Urge the College of the Holy Cross to apologize. Please sign and share this peaceful protest. Fr. Philip L. Boroughs, S.J. Update I: The Most Reverend Robert J. McManus, STD, Bishop of Worcester, issued a statement on March 30, calling Professor Tat-siong Benny Liew to disavow his blasphemous, false and perverse writings which attack the true nature of Jesus Christ. To Fr. Philip L. Boroughs, S.J. I respectfully urge you to remove Prof. Tat-Siong Benny Liew, Chair of New Testament Studies, for openly attacking the Sacred Person of Our Lord Jesus Christ with unrepeatable blasphemy. With all my heart and soul, I oppose Prof. Liew's attempt to smear and defame the holy reputation of Our Lord and His Apostles. When will Holy Cross apologize for the spiritual harm caused by Prof. Liew's blasphemy and correct this scandal?